Too much wine, lack of sleep and the stresses that come with Mini-Me do not good skin make. This is why I could not live without my Laura Mercier Secret Camouflage. I don’t tend to wear foundation often as it aggravates my dry skin, so this on top of tinted moisturiser is all I need to get me through the day. It hides dark patches, spots and broken capillaries with a stroke of a brush and no caking. Now no-one will ever know you had an alcohol and chocolate feast the night before! 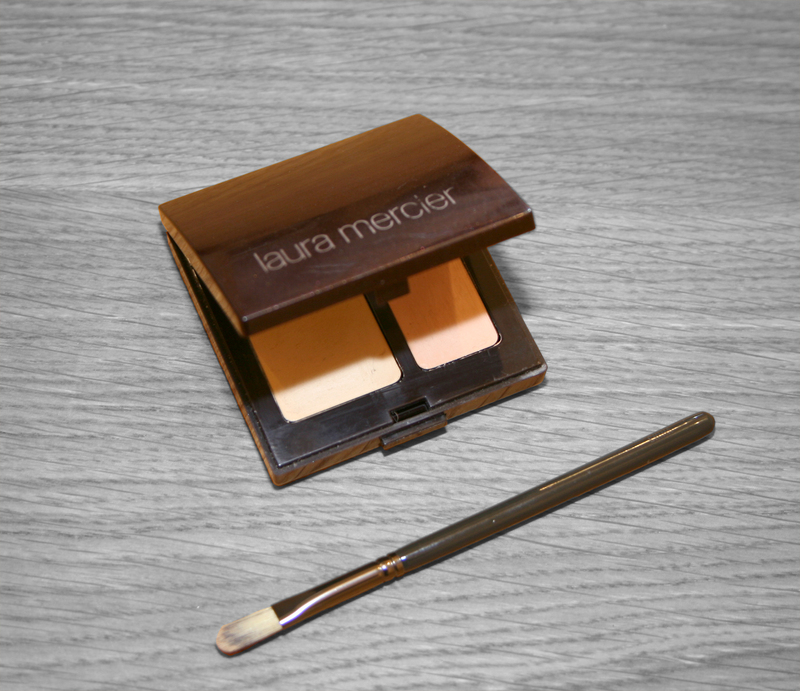 But don’t just take my word for it; it gets voted as best concealer in the Instyle Beauty Awards every year. Certainly not the price tag as this is a hefty £26. But as the old adage goes you get what you pay for and this is going to last you for ever, so the price per use is very low. And you will use it every day without fail. It’s that good. There is also a very handy mirror in the lid of the packaging so this is a very useful addition to your handbag in more ways than one. The unique two shade system means you can mix the perfect colour for different areas of your skin; and the concealer itself is very thick and highly pigmented so a little goes a long way. Apply with a small brush for perfect coverage and set with a thin layer of translucent powder.